Whether you’re rocking a beard or prefer to stay clean-shaven, you can use the same tools to get better results in less time. 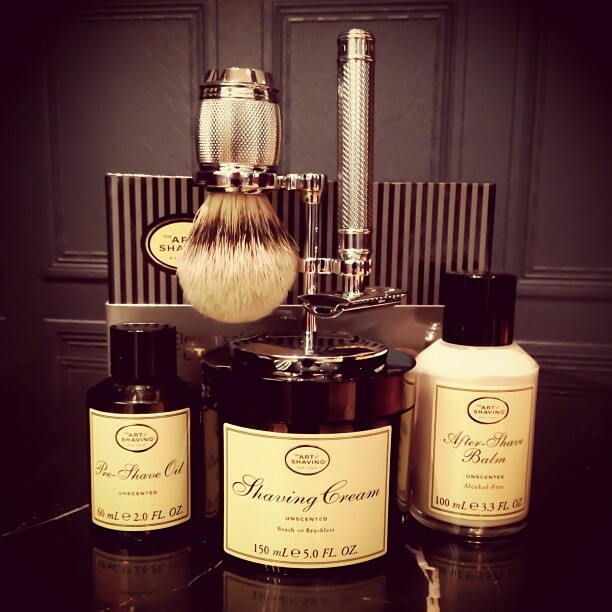 These four shaving products are worth investing in. Start with a smoother, more lubricant alternative to shaving cream by whipping your own foam from a block of moisturizing shaving cream. You’ll need a shaving soap bar, a small bowl to hold it, and a soft-bristled shaving brush to lather the foam and apply it. Another old-fashioned tool is the single-bladed safety razor? Why trade in your four or five blade modern razor for such a throwback? Since you can change the blade as often as you like and it’s a thicker piece of metal, you’ll enjoy a cleaner shave from the sharper edge. It’s also far more affordable in the long run. When getting the bits of hair out of the sink take longer than the shaving itself, you need a Beard Bib. This compact tool unfolds into a bib that wraps around your neck and sticks to the mirror, catches every stray piece of hair, and folds away again in its own carrying case. Finally, anyone who keeps a little facial hair around should moisturize their beard or goatee with the right oil. Blended botanical products add a pleasant scent too.